On the book tour for her second book called ’11 Missed Calls’, Elisabeth Carpenter talks about the different locations in her book. 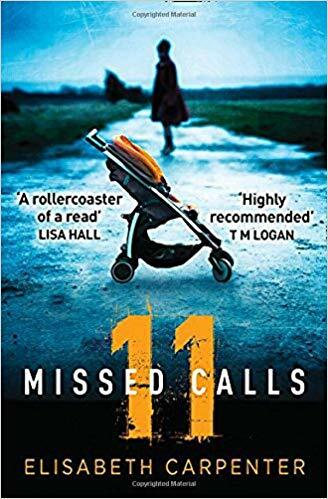 My second novel, ’11 Missed Calls’, is predominantly set in Lancashire: Preston, Lytham and St Annes (they are two separate places, with two others in between). Both families, past and present, live in Preston. I haven’t specified an area in which they live, but have described their terraced houses. These tend to be nearer the city itself, as opposed to the surrounding towns with larger houses. I live in Preston myself, and used to live close to the city in a two-up two-down, like the characters in the novel. The walls were pretty thin (which could be rather awkward at times …) but I used this to add to the claustrophobia and paranoia of one of my characters, Debbie. As her mental health declines, she feels she’s constantly being watched. Being able to hear her neighbours either side added to this. Debbie’s chapters are mainly based in the home, where the familiar starts to feel strange. Her daughter, Anna, in the present day, however, works in a charity bookshop in St Annes. I used to work in St Annes managing a charity shop, so I didn’t have to look far for inspiration. The volunteers came from variety of backgrounds, which you probably wouldn’t find in traditional workplaces – and were of different ages. One of the volunteers in the book is based on a woman I worked with, but I won’t say who (though, if you know me – you’ll probably know who it is!). Towards the end of the book, the family in 1986 holiday in Tenerife. I haven’t been to Tenerife since I was seventeen when I went with my friend. We weren’t very streetwise, so God knows how we managed to persuade our parents to let us go alone. Like Debbie in 11 Missed Calls, we were nearly choking with the cigarette smoke on the plane, even though we smoked ourselves (sorry, Mum). We lived on bread and Heinz macaroni cheese (opened with a ‘stabby’ tin opener) during the day, and cheese and tomato pizza at night at the same restaurant (until we found a McDonalds). We enjoyed the fact we didn’t need (fake) ID to drink too vodka, as the legal drinking age was 16 then. We spent the first day two hours ahead of everyone else, not knowing it’s the same time in Tenerife as it is in England. How we survived, I don’t know. Unfortunately, I didn’t have time to go back to Tenerife to research the novel, so spent many hours on Google maps. It’s quite gruesome, but I had to find a cliff accessible enough and high enough for someone to be able to contemplate their life (yes, that’s a euphemism). Originally it was going to be a bridge, but there wasn’t one high enough, so I had to invent somewhere, which I felt more comfortable with, if that’s the right word. It’s always tricky describing places I’ve never been, as there’s a tendency to overshare new knowledge. But I hope that in writing about places I’m familiar with, or have visited, has added to the atmosphere and authenticity of the book.